Hello Crafty Friends... here's another late post. Sorry bout that. I have a tendency of doing a lot of things last minute. I'm a busy mommy of 4 and always on the go. After repeated and failed attempts at asking my dear 'ol dad in law what he would like to for Father's Day I was left with scouring the internet for last minute gifts. Thank God for the Pinterest!! 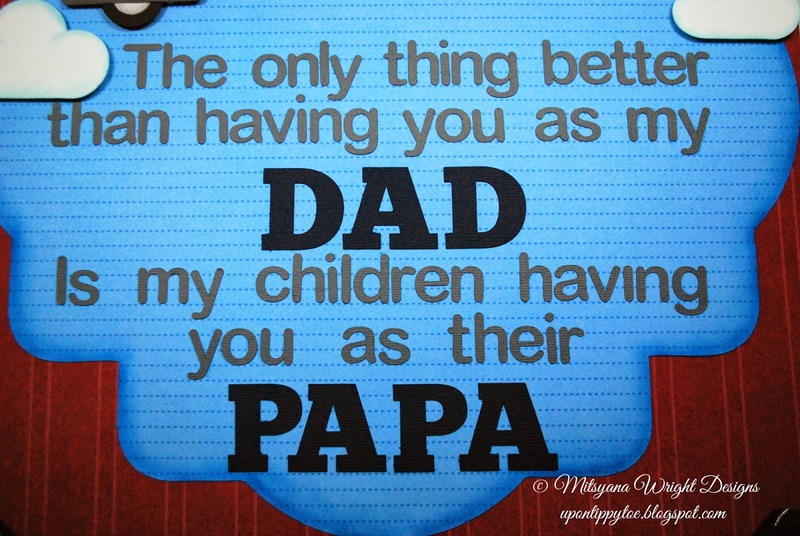 I saw this sentiment and totally loved it. So I put my own spin on it and made it into wall art. 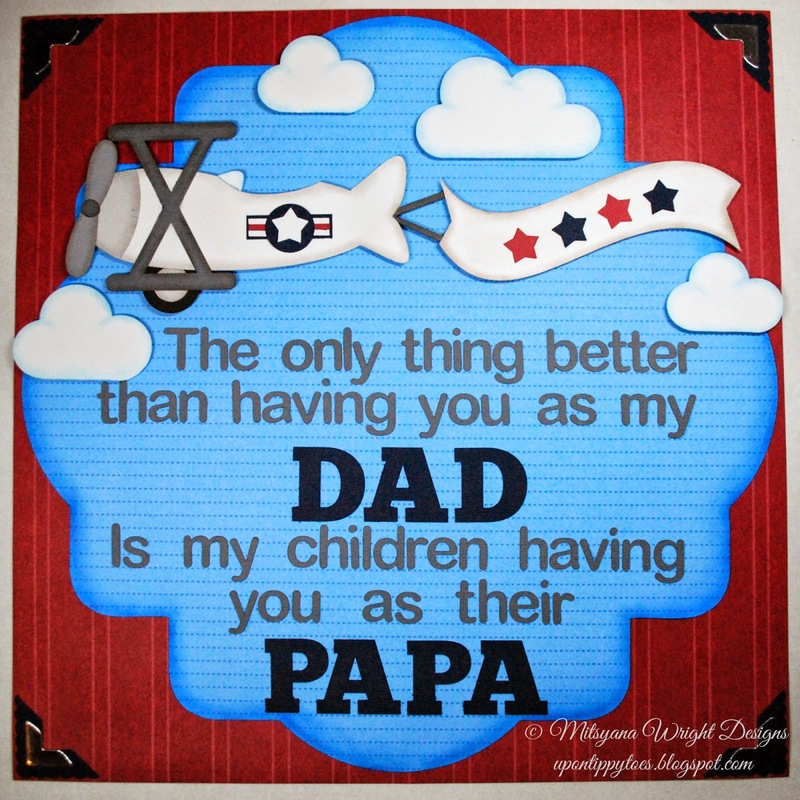 I personalized it especially for my father-in-law who served in the U.S. Air Force for 27 years. I added an Air Force emblem and cut it using my Sizzix eclips. I tried to make it as true to the era as possible... thank you Google and ecal for making my research and designing such a breeze breeze! Using the shapes window and manipulating basic shapes I was able to make the Air Force insignia pretty spot on. 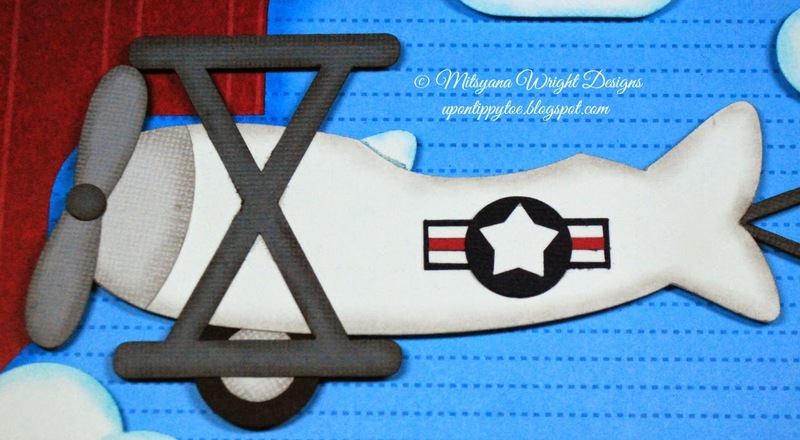 I used the Flying High July set for the plane and the Artisan Labels set for the background shape. 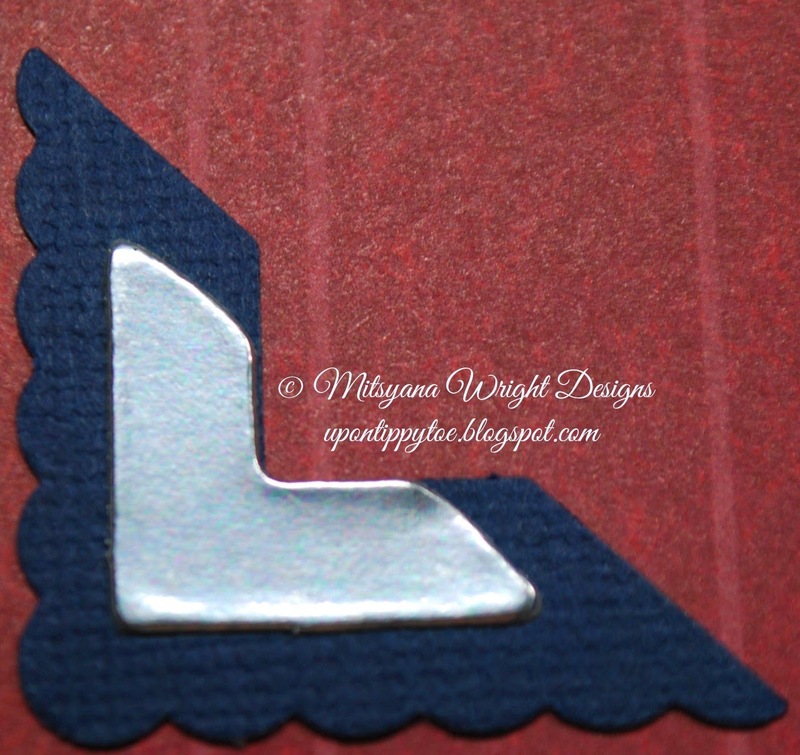 Love how simple stars in deep blue & red makes it look so patriotic. Fonts I used for the sentiment were Arial Rounded MT Bold and Bevan. The Arial font family usually comes pre-installed in most PCs but if your computer didn't come with it you can download it from Fonts Geek here. Do you like bold, and more importantly, free fonts?? Then Bevan is the font for you. You can download this great everyday font here. I also added photo corners in two sizes and stacked them on each other to dress up the empty corners. I opted to take a pic without the frame. I hope you forgive me not showing the finished project framed. And, I hope you enjoyed it anyway.